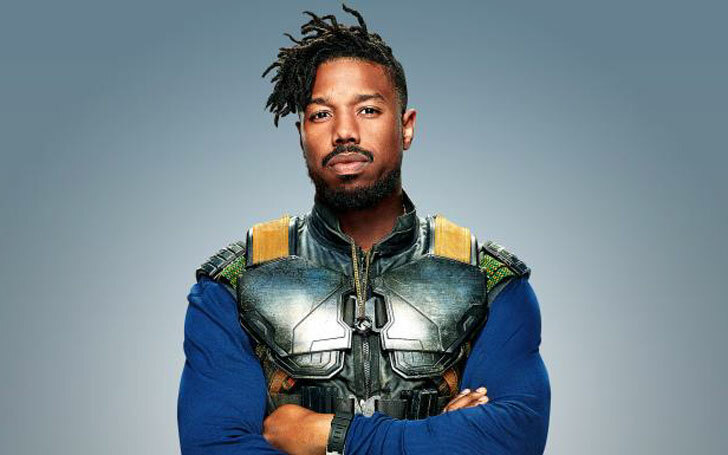 Michael Bakari Jordan, a.k.a. Michael B. Jordan, is an American actor, and he has an estimated net worth of $8 million as of 2018. The actor is best known for his portrayal of N'Jadaka in 2018 hit film Black Panther, also starring Chadwick Boseman, and Lupita Nyong'o. 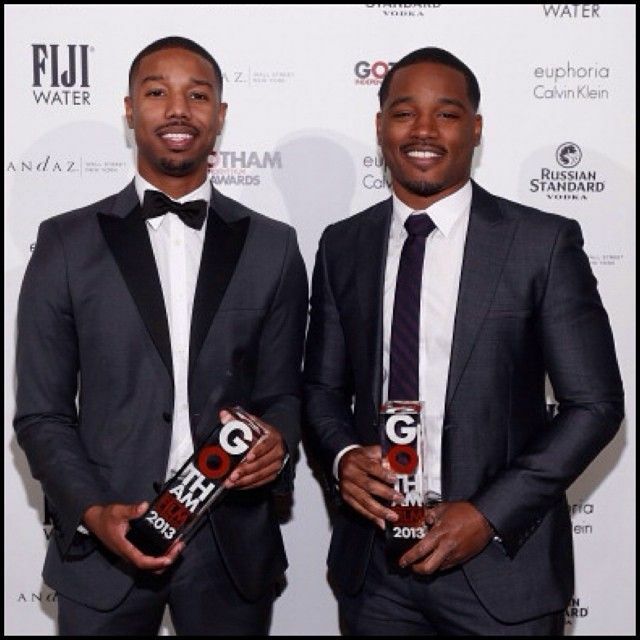 Likewise, the actor is also recognized for his role of Oscar Grant in 2013 film Fruitvale Station. Born on 9th Feb 1987, the 31-year-old has been acting since 1999 and is among the most talked-about actors in the industry, all thanks to Black Panther. From making an appearance on Ellen DeGeneres' 60th birthday to numerous interviews, the actor indeed has become very famous mainly for his ripped body. Today, we are going to share some details about the actor's net worth, salary, career, and awards. As of 2018, Jordan whose name matches with NBA star Michael Jordan has an estimated net worth of $8 million. Just a few years back in 2015, the actor's estimated net worth was just $1 million. An increment of staggering $7 million in the span of 4 years is quite impressive and shows that the actor has the potential to go even further in the game. The actor is reported to earn a massive $2 million per annum for his work in films and TV shows. He is also claimed to earn $4,100 per day. Meanwhile, his salary for Black Panther differs per sources. Some claim that his salary was in millions while others claim that he was paid hundred thousand dollars. Nonetheless, we are sure that the actor has gained a hefty sum from Marvels for the role, not only because of stunning acting but also because Black Panther was a massive hit. Likewise, some of his earnings from films like The Fantastic Four, Pretenders, Chronicle and Triple Nine are $174,852, $81,169, $63,131, and $142,045 respectively. He is also reported to have made a jaw-dropping $1.5 million for his role as Adonis Creed in 2016 film Creed, which has a box office earning of $170 million. Having such a massive net worth and earnings, he is not the kind to just stack those cash in the bank. On 7th March 2018, the actor decided to pay for a fan named Sophia's retainers after her orthodontist shared that she had snapped the wire on her retainers while she watched Jordan take his shirt off in Black Panther. According to the doctor, she clenched her teeth so hard that she snapped them. In a tweet, the actor shared that he felt he was responsible for the breaking. So, he openly offered to replace them. MBJ is a good man indeed. Moving on from his good deeds, the actor is also reported to earn thousands of dollars through endorsement deals and sponsorships. While Jordan appeared on the 60th birthday special show of Ellen, he shared that he was living in a house with his parents. He bought his first house worth $1.7 million in 2015, and it is located in Sherman Oaks. The Spanish style estate which he shares with his parents covers 4,672 sq ft and features four bedrooms. He felt very proud even quoting 'a dream come true' when he was able to buy a house for his parents. Back in 2017, the actor even shared a glimpse of his $1.7 million mansion with his fans by inviting Vogue over. Nonetheless, the actor also shared that he plans to move out from the house very soon as he had a few embarrassing encounters with his parents since they lived together. Now talking about his vehicles, the actor owns a Chevy Camaro and an Audi R8 which has a price tag of $135,000. 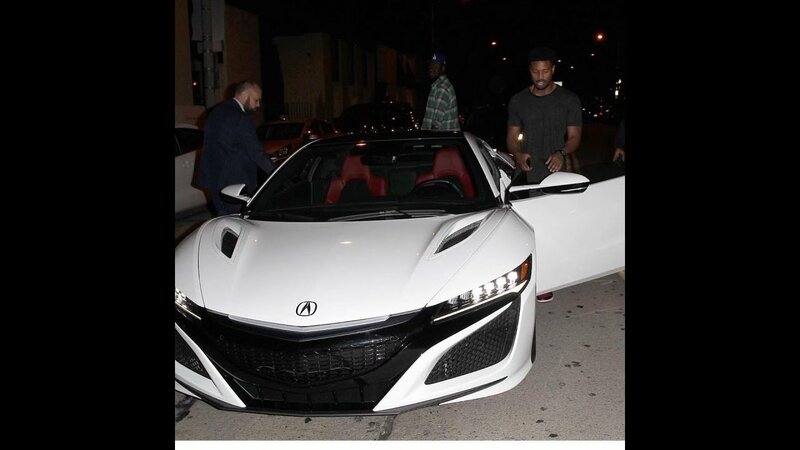 Similarly, in 2017, it was also reported that the actor bought a 2017 Acura NSX Supercar which he was spotted driving around Beverly Hills. The car has a price tag of over $156,000. Michael B. made his debut as an actor both on TV and the big screen back in 1999 through an episode of TV show Sopranos and film Black and White. He again appeared on the big screen in 2001 as Jamal in Hardball. Following this, he mainly focused on TV and did not appear on films until 2007. On TV, he appeared in 12 episodes of 2002 TV show The Wire as Wallace. But in the following year, he rose to fame as he was not only cast as a regular character in TV series All My Children starring Susan Lucci and Cameron Mathison but he was also nominated for his first award for the role. Even though he did not win any, he was nominated for NAACP Image Awards three consecutive times from 2005 to 2007 and a Soap Opera Digest Award. Later on, he appeared in numerous films and TV shows like Red Tails, Chronicle, Blackout, Bones, Cold Case, Friday Night Lights (regular role) and others. But he was able to make his ultimate breakthrough in 2013 through the role of Oscar Grant in film Fruitvale Station. For the role, he was nominated to 11 awards out of which he won 5, all in 2015. He won a Hollywood Film Awards, a Gotham Awards, a National Board of Review of Motion Pictures Awards, a Satellite Awards, and Santa Barbara International Film Festival Awards. In 2015, he appeared in Fantastic Four as Human Torch for which he was nominated for a Golden Raspberry Awards, which he shared with other cast members Kate Mara, Miles Teller, and Jamie Bell. Again, in the same year, he appeared in another hit film Creed for which he won an NAACP Image Awards, Black Reel Awards and a National Society of Film Critics Awards. As of 2018, he appeared in a hit film Black Panther, and fans can also expect him to appear in TV film Fahrenheit 451 as Guy Montag. Similarly, he will be seen in 2019 TV series Raising Dion. He is also an executive producer in the film.